The mood is set in our place with lighting from a number of lamps and candles dotted around the room. On books, the sideboard and even one carefully positioned on the dining table! 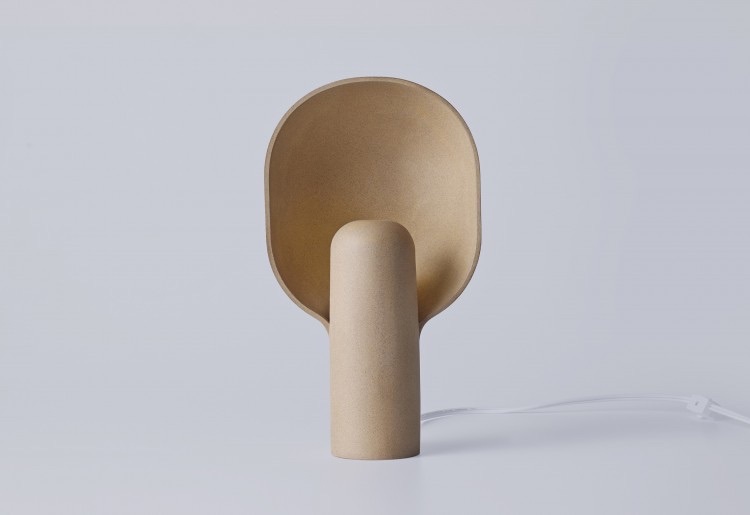 After seeing this beautiful slipcase ceramic lamp from MSDS Studio it seems I might just have to make room for one more. 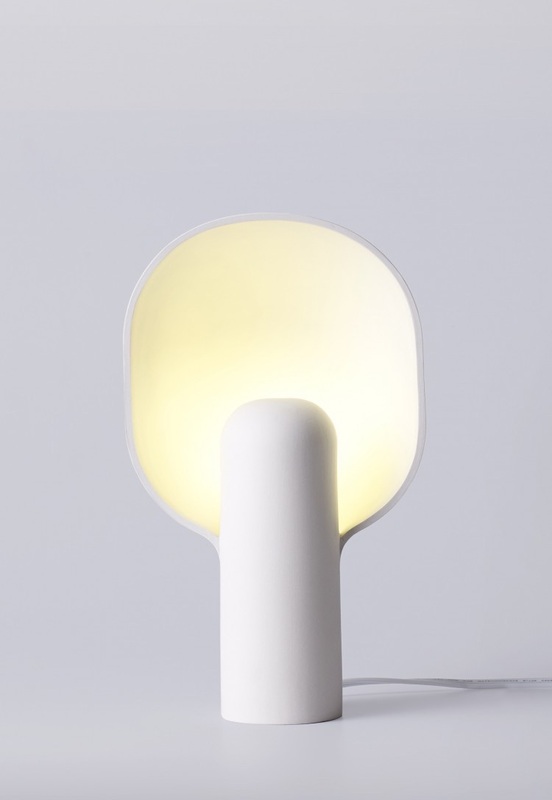 ware lamp available through MSDS Studio in Toronto. We are looking to turn the alcove in our apartment to an office space. Let it be known that making a decision about which desk to select leaves much to the imagination. Enter the Palette Desk by Jaime Hayon for &tradition. Combining two different shapes together in a mix of materials resulting in a double level design reminiscent of Alexander Calder's sculptures. This piece is a definite contender for reshaping our space. With a penchant for modest yet timeless design one's attention is immediately engaged when viewing the works of Hung-Ming Chen and Chen-Yen, the design duo behind Afteroom. Their mission is to create beautiful products to grow old with pivoting around a philosophy of honesty and simplicity. I'm particularly taken with their Lounge Chair for Menu which takes inspiration from Thonet's Bentwood Chair and Børge Mogensen's Spanish Chair. Hopefully I age with such timeless beauty as this chair or at least be extremely comfortable whilst doing so. Paris 1920's. Marguerite Dumont is an eccentric wealthy woman with a passion for opera, music and theatrics. She loves to sing for her friends, however she is not the best singer. Things begin to change when she finally decides to perform in front of a real audience. This was one of my favorite films from 2015. With such great comedy, sets and costumes a beautiful tale is told. I hope you enjoy it as much as I did. Art is never a miss in any interior space, but when prints such as these make their way to market you'll want to cover an entire wall. British textile designer Kit Miles brings scenes of flora and fauna to life with his meticulous and detailed draughting. These hand drawn design can be specified for both wallpaper and textiles. Surrealism at it's best.